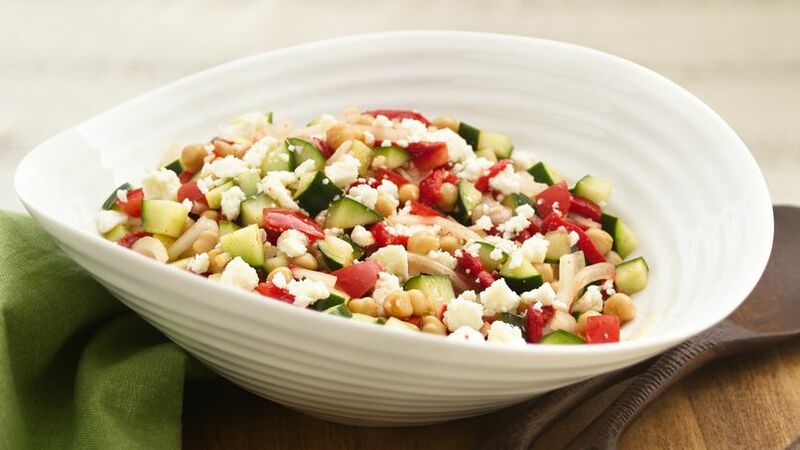 In large bowl, mix chick peas, tomatoes, bell peppers, onion, cucumber, cilantro and garlic. In small bowl, mix lemon juice, oil and salt until blended. Add to tomato mixture; toss to coat. Let stand 15 minutes to blend flavors. Just before serving, sprinkle with cheese.